Rhona Vogel is the CEO and Founder of Vogel Consulting Group. While working in public accounting, Rhona recognized an unfulfilled need in the wealth management industry. Her clients, affluent individuals and business owners, desired a depth of integrated service in tax and estate planning, as well as unbiased investment advice. As a result, she formed Vogel Consulting – an independent multi-family office. Rhona founded the firm around the concept of integration and is passionate about Vogel’s customized approach. She is actively involved with many of the firm’s largest client families, working intimately to plan, manage and build their wealth for present and future generations. Areas of special interest include tax-efficient investing and direct investment deal negotiations. Testament to her decades of hands-on experience, Rhona frequently speaks on topics ranging from family office best practices to future tax legislation and investment strategies. A graduate of Marquette University, Rhona began her career with the Internal Revenue Service and soon after began her climb through the ranks at Arthur Andersen. In 1987, she was named one of Andersen’s first female tax partners and led Andersen’s Family Wealth Planning Group. 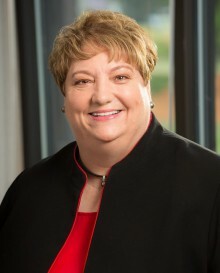 Rhona gives of her time and expertise to Marquette University by serving as a trustee emeritus on the Board of Trustees, a member of the School of Business’ Dean’s Council of Excellence, and an appointee on the President’s Advisory Council. She also serves on the board of the Wisconsin Historical Foundation and several private family foundations. Legacy is not just an estate plan that passes down tangible assets; it is much bigger. The uncertainty surrounding the November elections in the U.S. is behind us. However, much uncertainty remains. This is Rhona Vogel’s philosophy: to provide client centric services with a depth of integrated and unbiased investment advice.